Comprised of 6 different pairs, this collection includes sneakers inspired by House Lannister, House Stark, House Targaryen, Targaryen’s Dragons, Night’s Watch, and White Walkers. After giving fans a tease last November, Adidas has now revealed its entire line of Game of Thrones sneakers. This shoe collection is comprised of 6 different pairs based on the sports brand Ultra Boost 4.0 model. Each pair is inspired by the show’s most popular houses or groups of characters, namely, House Lannister, House Stark, House Targaryen, Targaryen’s Dragons, Night’s Watch, and White Walkers. The House Lannister shoes are the flashiest pair in the collection. Its glittery red colorway and its bright gold cross straps capture the Lannisters’ extravagant and lavish lifestyle. The House Stark sneakers, like the Starks themselves, aren’t shouting for attention. Its practical black and gray color scheme makes it easy to match with any outfit. The House Targaryen shoes, meanwhile, are dressed in a white colorway with silver metallic accents. 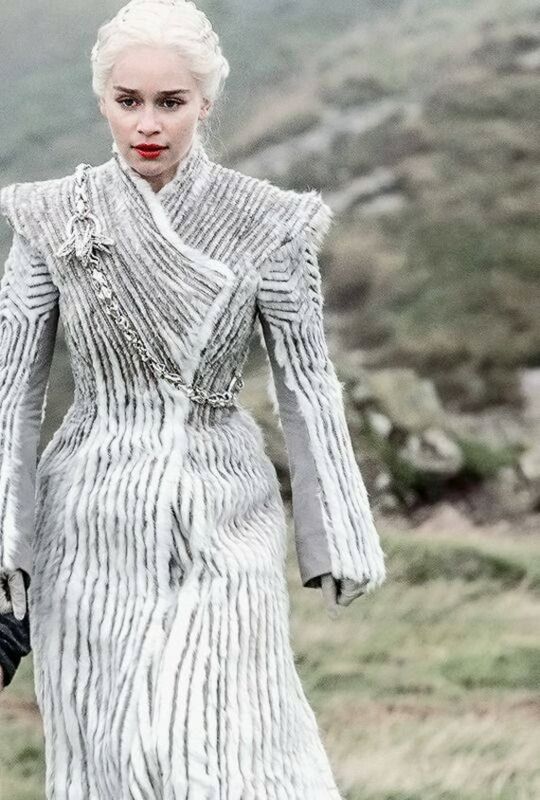 It’s probably inspired by Daenerys’ fashionable winter coat from the seventh season of the HBO series. If you love Daenerys but find the House Targaryen shoes too simple for your style, then this fiery Targaryen’s Dragons shoes might suit your taste. Featuring a blend of black, red, and orange colors, this pair has one of the most striking color schemes in the collection. The Night’s Watch shoes have a simple yet stylish appearance. Its black and white colorway is a clear nod to the Night’s Watch members’ black garb and the white snow surrounding the Wall they guard. While also dressed in white colorway, the White Walker sneakers give off an extra cool vibe, thanks to its ice blue accents. All these shoes don’t actually look like Game of Thrones sneakers from afar. But a closer look will reveal that these pairs of footwear feature subtle custom designs that a regular pair of Ultra Boost 4.0 doesn’t have. Along with color schemes that are associated with the featured houses and groups of characters, each pair features a small label on the heel that carries a slogan connected to the characters they represent. For instance, the White Walkers shoes get the “Winter Is Here” phrase, while the House Lannister sneakers get the “Hear Me Roar” catchphrase. Other special details include custom aglets and tongue tabs, and a big Game of Thrones logo on the insole. A regular Ultra Boost 4.0 retails for $180, so expect these Game of Thrones shoes to sell for around $200 a pair or even a bit more. While an official release date has yet to be announced, these shoes are expected to become available sometime this spring in line with the final season premiere of Game of Thrones, which was scheduled on April 14th.